British Friesians have been at the heart of the Burroughs family business on the UK’s most easterly dairy farm for generations. Angela Calvert reports. Dairying in Norfolk may be on the decline, but the Burroughs family business is going from strength to strength. 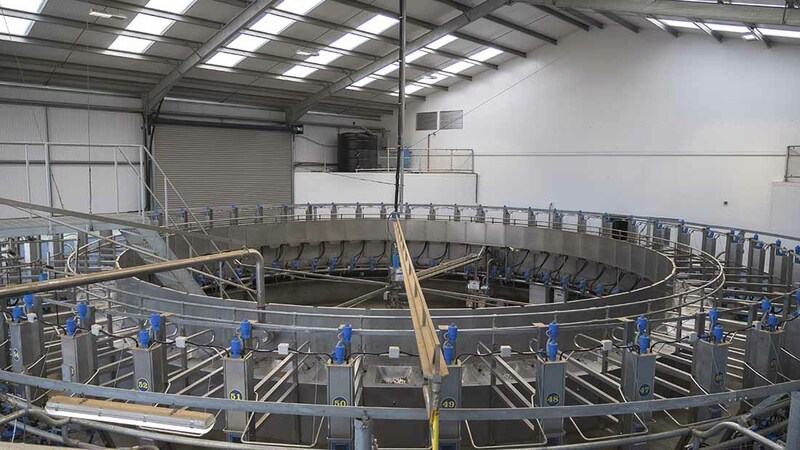 Recent developments include the installation of a rotary parlour and additional cubicle housing to accommodate growing numbers. In addition, its Oakalby herd was winner of the 2016 British Friesian national herd competition and enjoys considerable success in the showring. The 405-hectare (1,000-acre) Oaklands Farm, based in the Waveney Valley, just three miles from the sea, trades as E.S. Burroughs and Son. It is headed by David Burroughs and his sister Margaret Vale, with her husband Graham, daughter Andrea and David’s son Jamie and daughter Lindsay Miller, all working in the business. The arable portion of the farm has expanded to 263ha (650 acres) over the years, but this is now contracted out. Margaret says: “This has enabled us to focus on the dairy business which is where our real interest lies and has meant we could sell all our arable machinery. David and Margaret’s father bought the original 40ha (100-acre) holding in Aldeby in the 1940s which, at the time, had just 20 cows. When they returned from college in the 1980s, numbers had grown to about 70 and the decision was taken to switch to pedigree British Friesians. Margaret says: “My father had always run a Friesian type of dairy cow and they suit this farm, so we decided to focus on building up a pedigree herd. “Different breeds suit different systems, but we need a cow which will graze and has good legs and feet. We graze a lot of marshland which is a long way from the buildings and sometimes they have to walk up to a mile back to the farm. The herd grew steadily and, 25 years ago, the decision was taken to build a new dairy on a greenfield site a few miles away to allow for further expansion. Then two years ago, with the younger generation keen to secure a long-term future in the dairy industry, more investment was made. 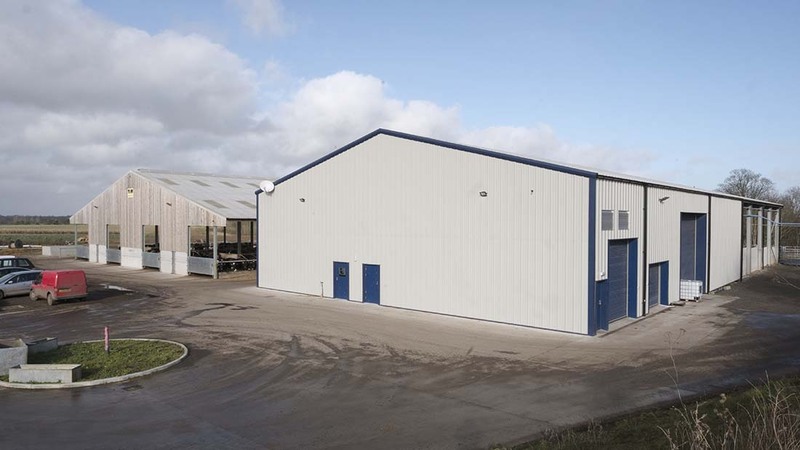 Various options were considered and many parlours looked at before they decided on a 54-point rotary parlour which was completed last year along with a new cubicle building to house an additional 200 cows. The herd is 75 per cent pure British Friesians with a handful of Holsteins, Ayrshires, Jerseys and Brown Swiss making up the numbers. The transition to using the rotary parlour went smoothly, with cows adapting very quickly. Margaret says: “The cows look so well and it is a very calm environment for them. 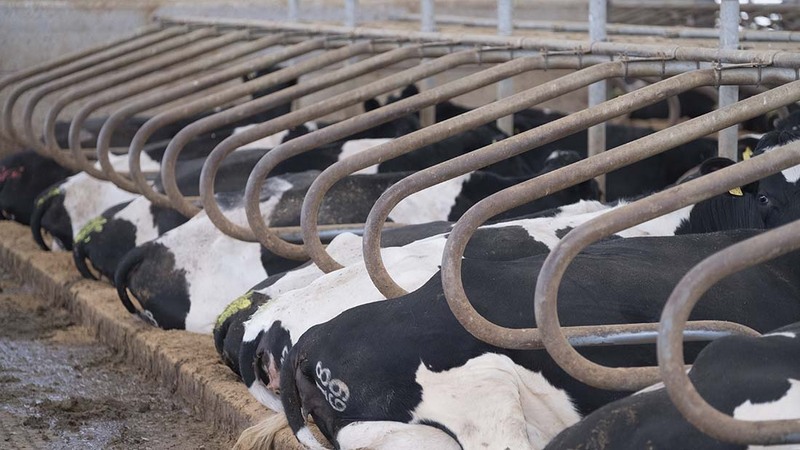 Milking used to take four to five hours twice a day and now it takes two hours twice a day. The herd block calves in autumn, which means they can graze away from the unit on marshes when they are dry. They start calving inside in September with the aim being to finish by December. Serving by AI starts on November 14 and a sweeper bull is used with some of the herd put to a beef bull. 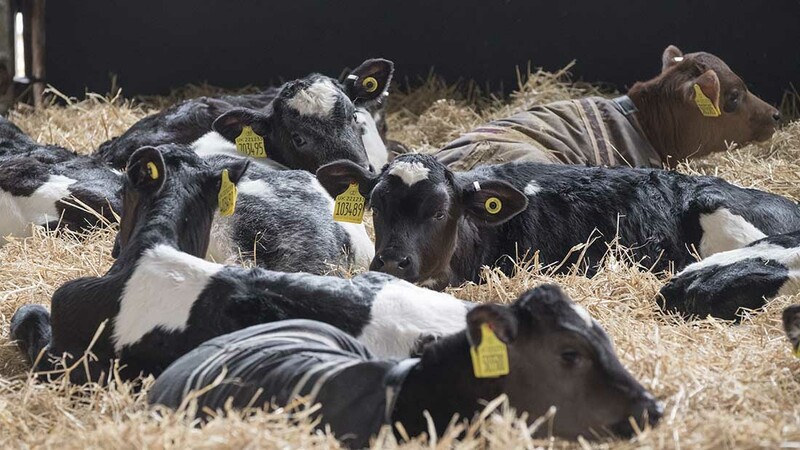 Andrea is in charge of calf rearing, with calves kept in individual pens on milk powder for nine days before moving into groups which are fed via recently-installed automatic milk stations, feeding up to 25 calves each. Bull calves are sold to one regular local buyer at a week old. The youngsters are grazed for their first summer, then in a relatively new arrangement, they are moved to former-dairy farmer Chris Whipps, 10 miles away. Margaret says: “Heifer rearing is an important part of the business. We aim to calve at two years and, to hit this target, they have to be constantly monitored and managed well. “Chris is able to focus completely on them without having to worry about a milking herd and it takes the pressure off our herdsmen. Staff management is a key part of the business, says Lindsay. David is responsible for feeding and Jamie focuses on managing the milking herd with head herdsman Robert Ives, who has been with the Burroughs family for 30 years. Second herdsman Liam Banns has worked full-time for the business for three years, but has been involved since 1998 when he began helping out with calves and showing while still at school. There is also an apprentice from Easton and Otley College, Tilly Eastaugh, along with a main relief milker and second relief milker. “Looking after and keeping staff is important to us. They like routine and we have a monthly rota so everyone knows when they are working and we ensure they do not work excessive hours. Showing is considered an important part of the business both as a shop window for the herd and to promote the breed in general. Margaret says: “We always go to Suffolk and Norfolk county shows and, up until now, the Livestock Event and the All Breeds All Britain calf show, where I was instrumental in getting them to put on a British Friesian class. I believe it is important to get youngsters involved. If they have a calf to show, they will show it as a heifer and as a cow and so on. Lindsay says: “Showing is a good shop window for us, as even though we are building up numbers, we have pedigree stock to sell. Usually, there are a few heifers which do not fit in with our calving pattern and a few bulls each year. “It is a good way of educating the public which we feel is important. Social media is also key for the same reasons and we have Twitter and Facebook accounts.